More photos coming on Monday! This is a spectacular home on a great lot in Kings Valley! 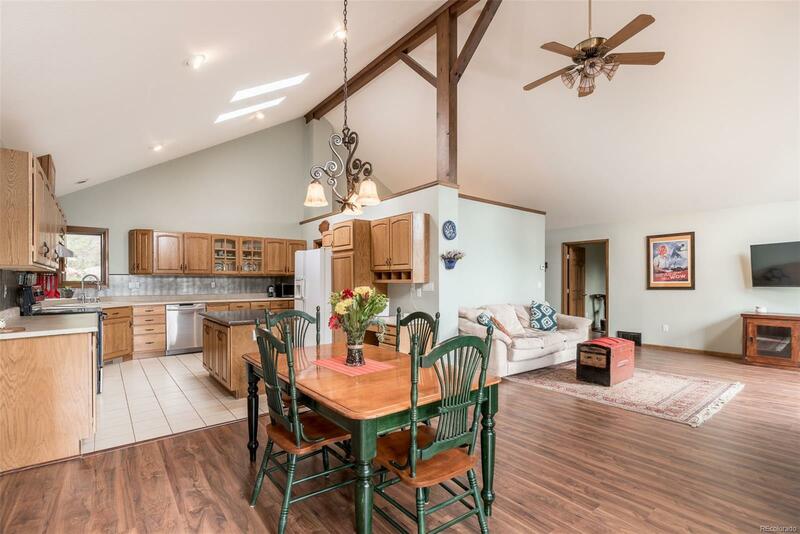 Ranch home with a walk-out basement with views and more! Warm sunlight, open floor plan makes this home so inviting. Large kitchen opens up to dining area and living room with fireplace. New flooring, new paint. Master suite newly remodeled with walk in closet and spa like bath! Large deck off the back of home provides a sanctuary to relax, look at the snow capped mountains or to enjoy the golden aspens coming soon. 6 panel doors throughout. 2nd bedroom on main level is large with great window looking out to the back wood lot. Walk out basement is finished with family room and wood stove, bedroom and 3/4 bath with a bonus room that could be a 4th bedroom or office. THEN a large storage room and utility room. No well or septic to worry about in this home! Natural gas furnace, water heater and community water and sewer! Rock croppings and garden space and some level areas make this lot a 10!